Who doesn't love seafood? What about crabs? Personally I prefer meat, but am slowly warming up to the idea of indulging in a session of delicious seafood and crab dining. 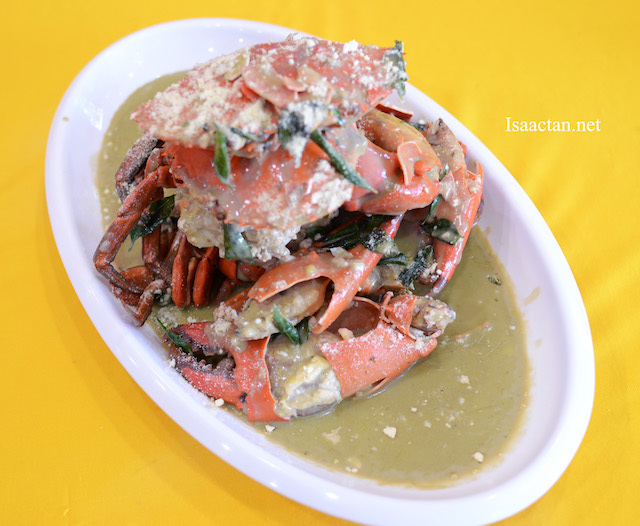 My first time over to Crab Generation Restaurant @ Taman Len Seng, Kuala Lumpur, I must say, they do serve some really scrumptious dishes. Check out what we had that afternoon. Event during lunch, the crowd filled up the restaurant. I guess this restaurant is pretty popular with the locals. 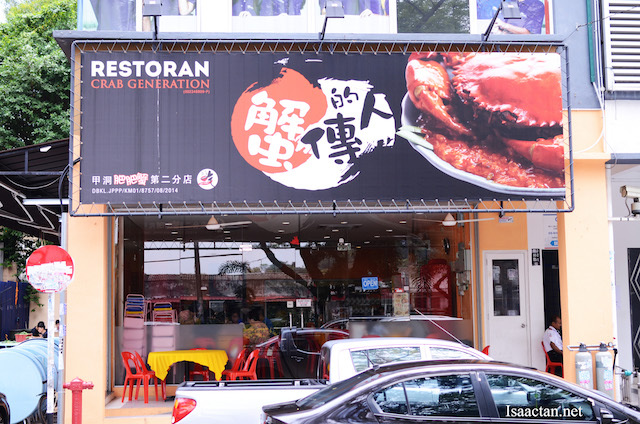 They have other branches as well in Kepong and Cheras, but under a different restaurant name. 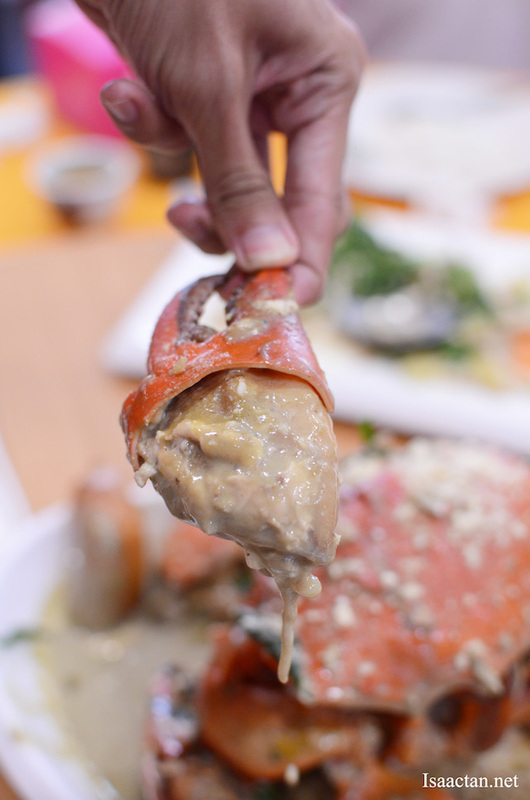 Open for lunch and dinner, you could drop by whenever you have a craving for some really yummy crab. Let's move on to their very interesting crab dish shall we? The Matcha Cheese Crab. Crab lovers will love this dish! Matcha Cheese Crab, upon hearing the name I was rather apprehensive on how it would taste. Worry not, as the crab is actually cooked in savoury cream sauce with a slight hint of green tea, topped with grated parmesan cheese. Lovely dish indeed, and it tasted great! 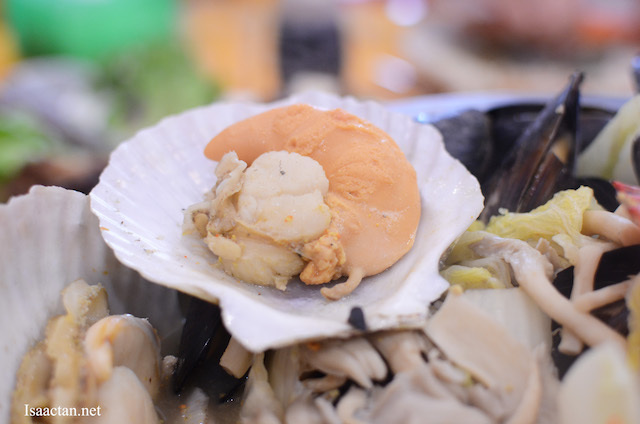 A must try at Crab Generation Restaurant, amongst others crab offerings. Oh, remember to dip some "mantou" or Chinese pan fried bread into the yummy sauce. Let's move on to their other dishes shall we then. 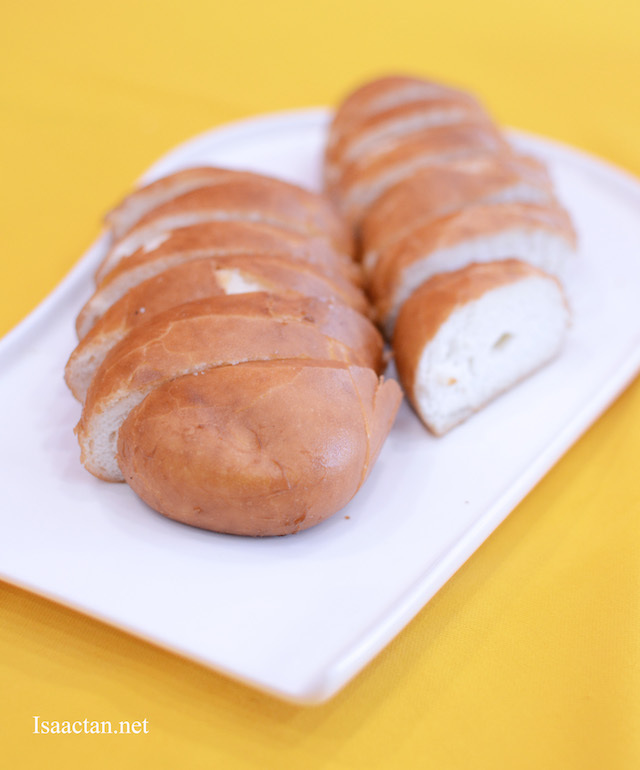 Mantou to dip and savour with the crab sauce. Crab Generation serves some of the nicer fish dish I've had in recent times. 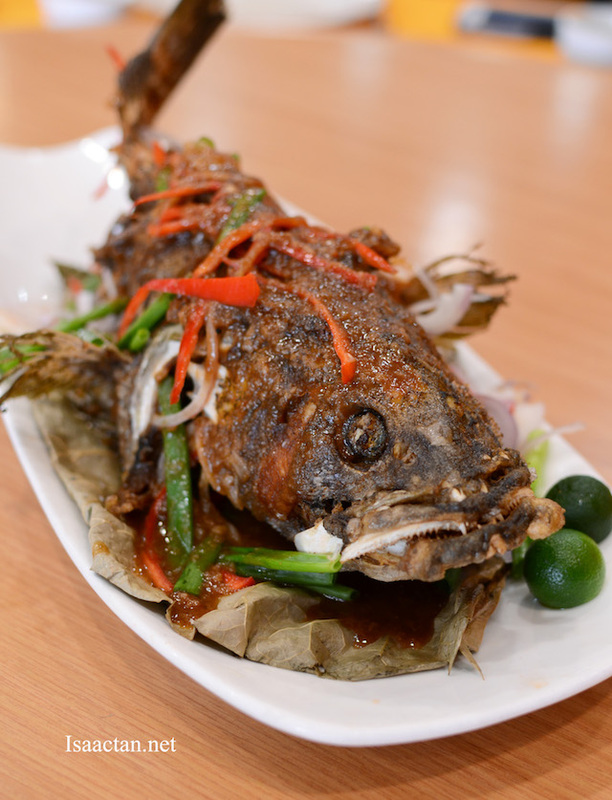 This time we were served with their Signature Fried Grouper, a rather big fish which is crispy on the outside while being firm yet tender inside. The sauce was good too, going really well with the fragrant rice served. I found it hard to believe even tofu and green vegetables can taste so good. 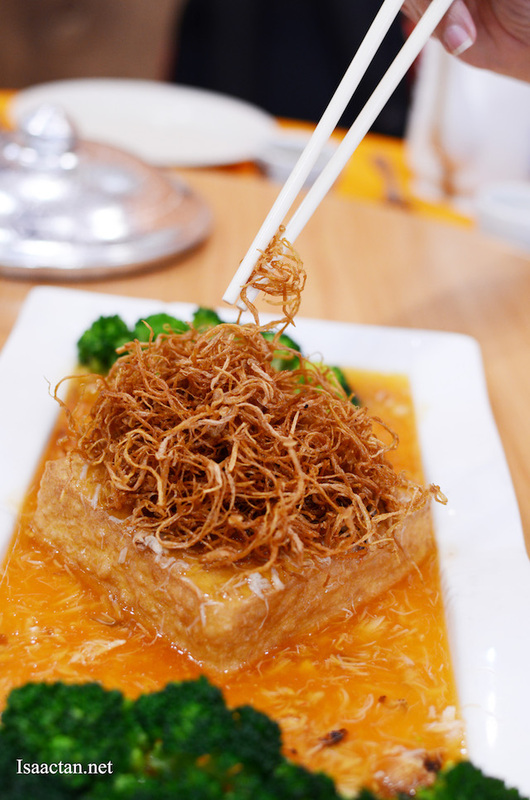 The Tofu with Fried Enoki Mushrooms had a really nice texture to it, with generous amounts of fried enoki mushrooms placed on top. 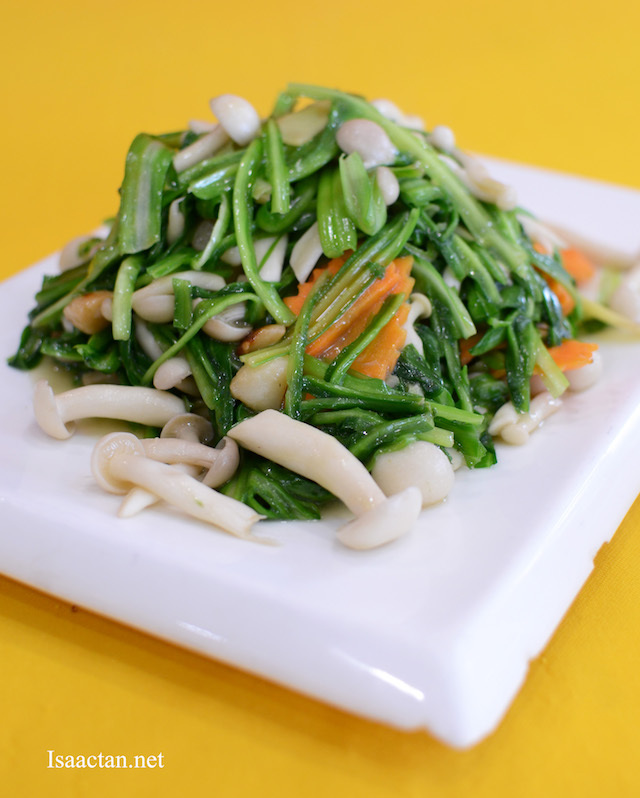 I did like the green dragon vegetables too, as it was a good vegetable dish to have in between all the crabs, fish and meat. 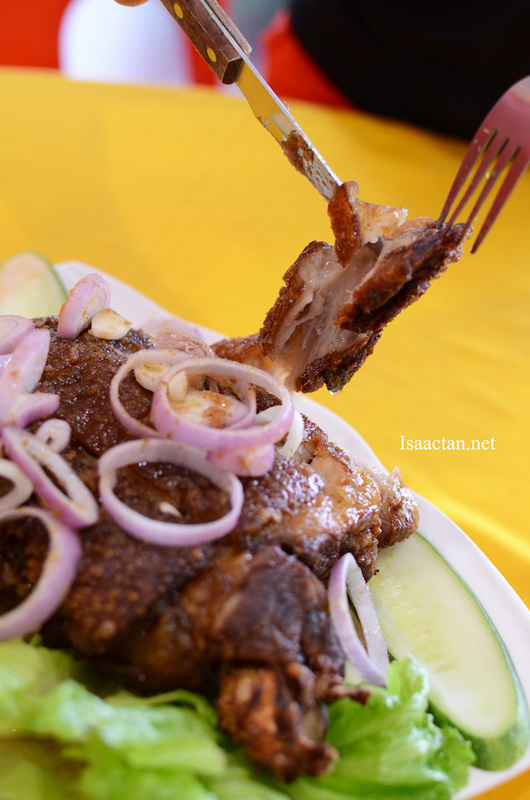 One of my favourite dish that afternoon has to be the Pattaya Deep Fried Pork Knuckle. Meant to be shared, as it came in a rather big portion, I love the crisp skin outside, and when cut inside the meat is so soft and succulent. Of course, when having this dish, we have to understand the fats and calories count will automatically come together. Good stuff though, loved the flavour and taste! 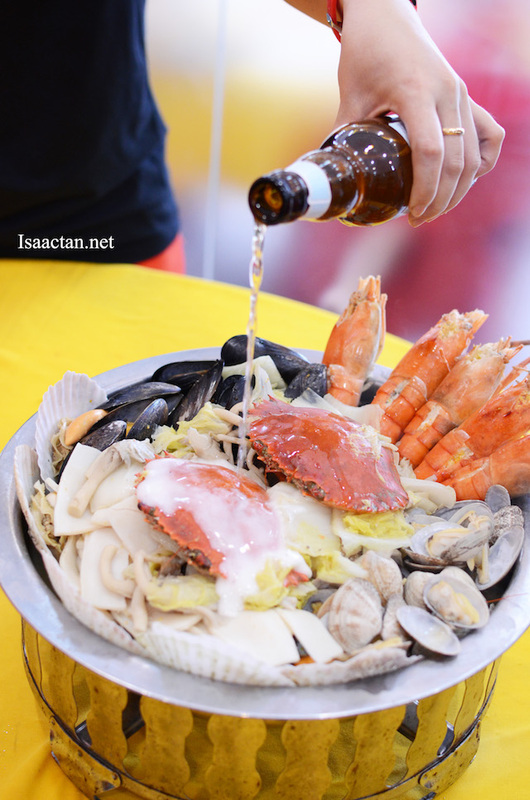 We ended our meal with the heaviest and largest dish, Crab Generation's Seafood Pot with Hoegaarden Beer. 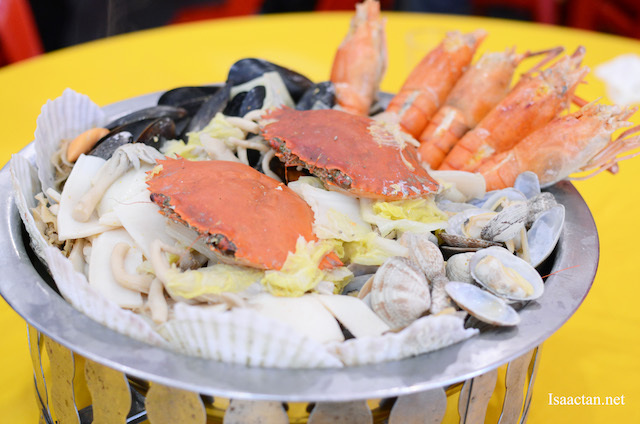 Another dish meant to be shared, we have mushrooms, whole mud crabs, mussels, electric clams, scallops, sliced abalone and giant prawns inside the large pot. Soup is initially mild, but when added with a bottle of Hoegaarden beer, the flavour and taste changed tremendously. What a great ending to a good meal out with bloggers and friends. 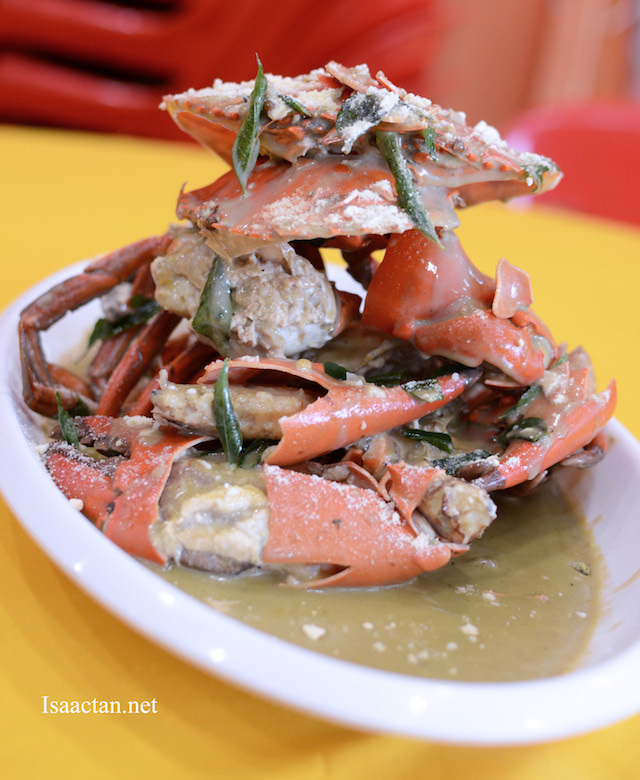 Do drop by Crab Generation Restaurant @ Taman Len Seng, Kuala Lumpur the next time you're in the vicinity of Cheras town. Have not had crab for a long long time. Matche cheese? Eeeeee...did not like the combination in the cheese tart I had. 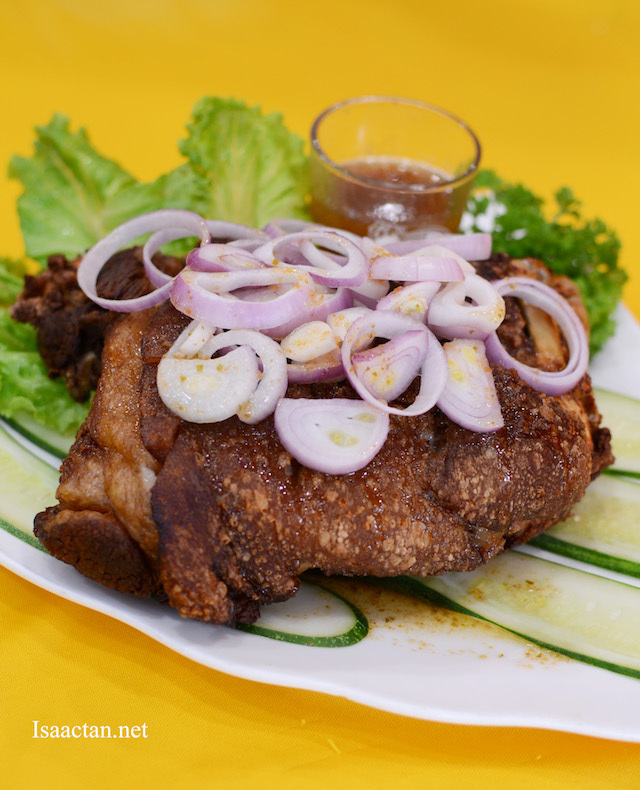 Gimme the pork knuckle, sure to be good, that one!